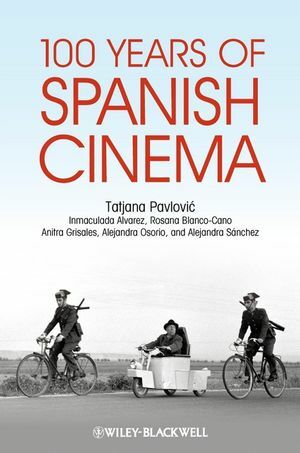 100 Years of Spanish Cinema provides an in-depth look at the most important movements, films, and directors of twentieth-century Spain from the silent era to the present day. Tatjana Pavlovic is Associate Professor of Spanish at Tulane University in New Orleans. Inmaculada Alvàrez is a Visiting Assistant Professor at University of California, Riverside. Rosana Blanco-Cano is Assistant Professor at Trinity University in San Antonio, Texas. Anitra Grisales is a freelance editor and translator specializing in film and media studies. Alejandra Osorio is a professor in the Communications Department of the Universidad Autónoma Metropolitana-Cuajimalpa, Mexico. Alejandra Sánchez is a Ph.D. candidate at Tulane University in the Department of Spanish and Portuguese.